Peppermint Glycerin Soap Loaf. These soap loaves come in a 1 pound block and are uncut. They are wrapped in a cello bag. They are very easy to cut, very carefully, with a sharp kitchen knife. Loaf size is apx. 5-3/4 inches long x 3 inches wide and 2 inches high. Please allow for slight variations in the pattern of the soap as they are made individually and can be slightly different from loaf to loaf. I loved this soap. It smells so good. Thank you!!!! 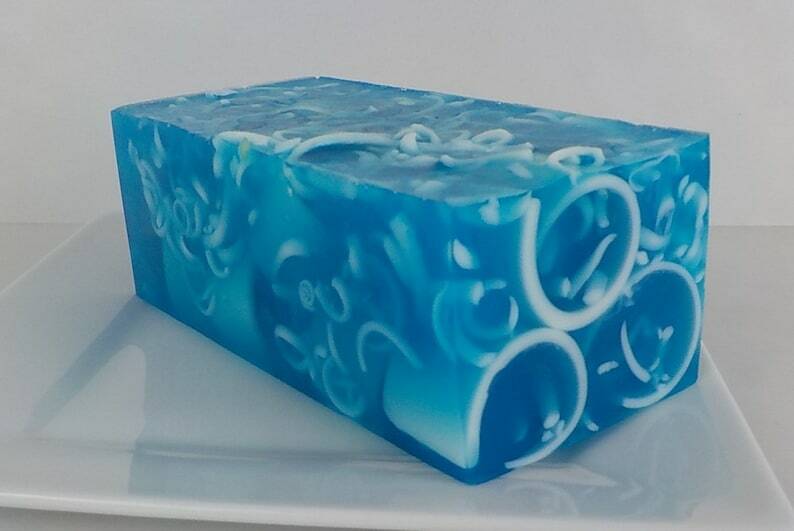 As always I love this soap!